“There are currently hundreds of apartment units that have been approved or are in the permitting pipeline. It is time for us to slow down and take a deep breath to evaluate the potential impact of these units and to complete the study now underway. Our new government will need time to be better prepared for these potentially long-lasting changes to our housing inventory and our neighborhoods,” stated John Stefanini, a lawyer and educator. Stefanini said that the proposed ordinance would be filed on his first day in office and would call for a six month moratorium on all new applications for zoning relief or permits not already approved or in the permitting pipeline. As we look at the redevelopment of our shopping and commercial centers, we must ensure that they reflect the character of their surrounding neighborhoods. We need to look at mixed use, recreation, shopping, activities for families, dining venues. We need to explore ways to connect our shopping centers to our open spaces, like downtown with Farm Pond and Nobscot Plaza with our working farms. We need to find development solutions that not only bring Framingham revenue for our schools, public safety and public works services, but ones that strengthen the character, security and vitality of each of our neighborhoods. “Similar to Marlborough, a six-month moratorium will give us the time to thoughtfully assess our recent development decisions and complete ongoing studies in order to make informed decisions that are in the best interests of each and every neighborhood.” Marlborough’s Council in March voted in a 6-month moratorium on housing to allow city officials to create a plan that will catalog the existing stock, gauge demand and determine how more housing will effect city services, such as public safety, education and the water and sewer departments. 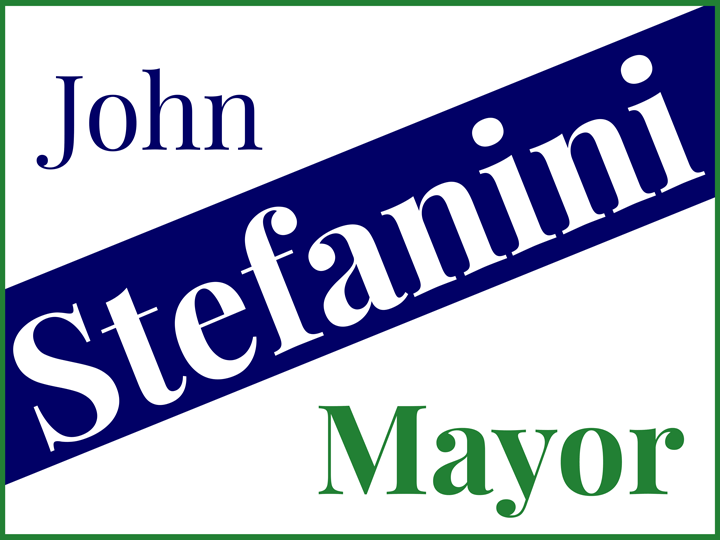 Stefanini is committed to bringing together all of our neighborhoods, professional planners, developers and businesses to consensus on a strategic development master plan, and then rolling up his sleeves to secure the public and private resources to make these goals a reality. During his decade in Framingham government, when the Town was facing a significant revenue shortfall and needed more revenue for our schools and municipal services, Stefanini brought the key partners together to get the long stalled Route 9/90 project done – generating jobs, significant new tax revenue and quality commercial, professional and industrial space for Framingham.